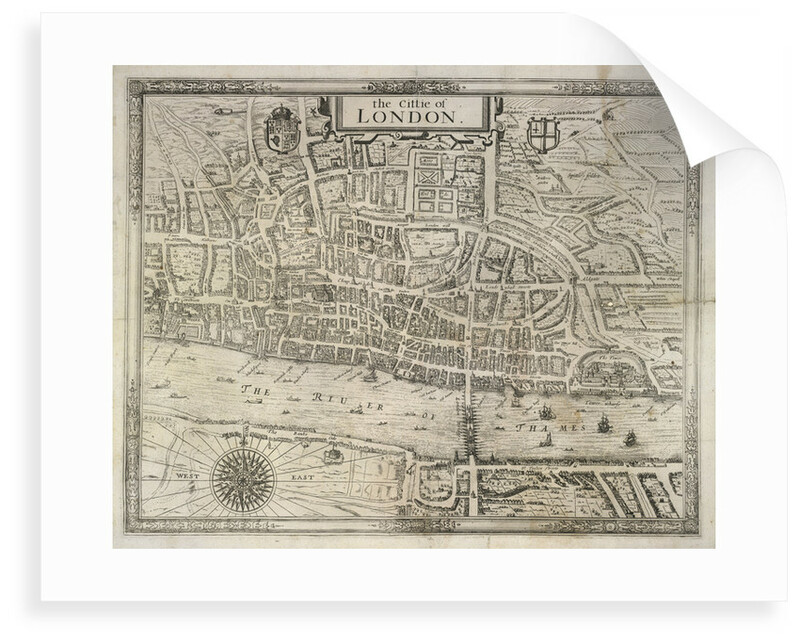 A historic map of the city of London by an unknown illustrator. 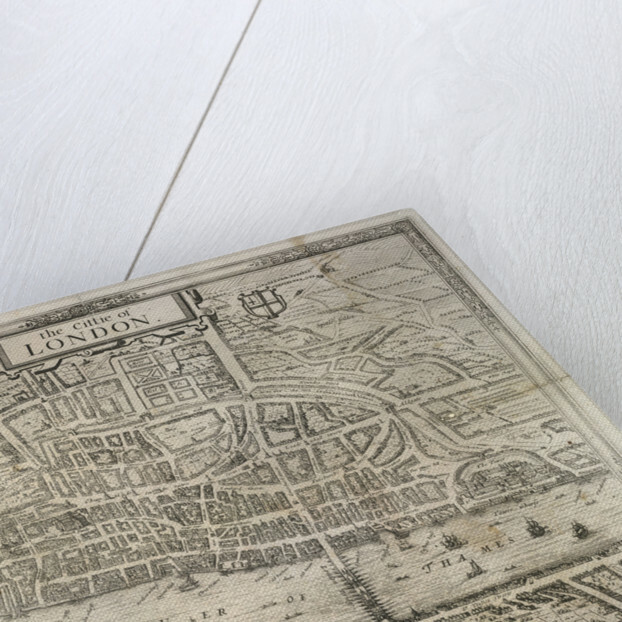 Landmarks include: Blackfriars, 'Pauls church Yarde', 'Fletestreet', London Wall, London Bridge, The Tower, 'White Chapell, Algate, Finsbury, 'Spittle feildes', Holborne, 'Graies Inn lane', and 'Moregate'. 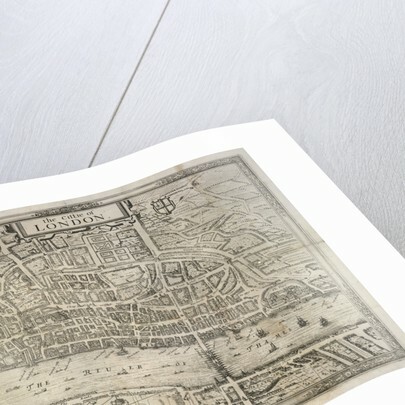 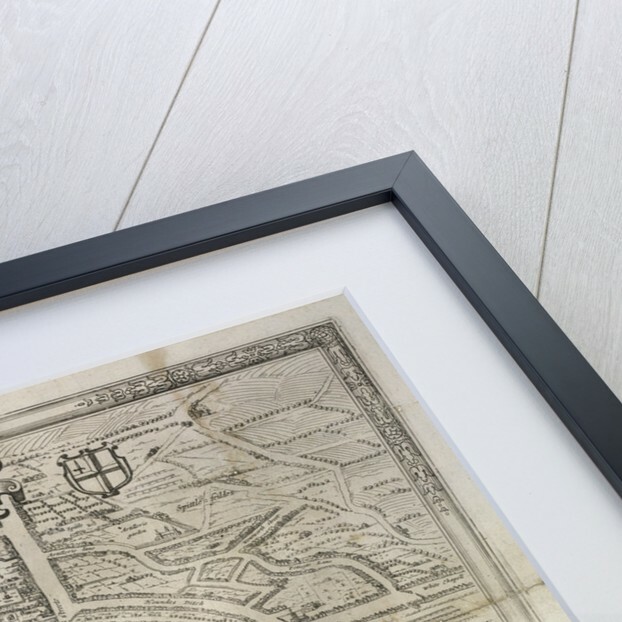 Explore the collections Maps, Writing Britain.